A national, federal, provincial and municipal policing body committed to our communities in partnerships and consultation. TELUS Community Boards are an innovative funding model that puts philanthropic decision-making in the hands of local leaders who know their communities best. 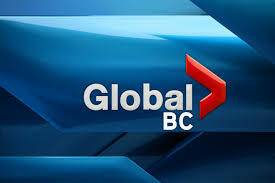 Their focus is to provide grants to grassroots charities that support local youth. Preference is given to projects that also demonstrate tangible technological or social innovation. 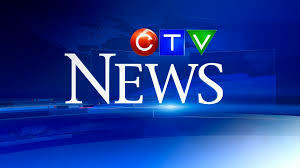 In 2013, the 11 TELUS Community Boards across Canada contributed $5.4 million to local charities supporting 438 projects. Additionally, Telus has three international Community Boards – in Guatemala, El Salvador and the Philippines – and they have contributed $300,000 to 40 charitable projects in their communities. We have an extensive catalog of goods that we can supply for you giving you a complete package to meet your needs, giving you access to one stop shopping. We can produce promotional products and vinyl signs to advertise your business or event. We also produce signs for advertising on vehicles. 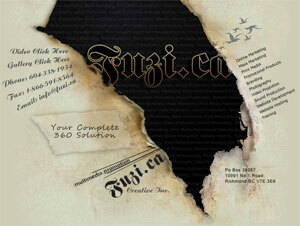 Fuzi.ca Creative Inc. is a marketing firm that provides services in print marketing, online marketing, google adwords, google maps, social media, photography, video production, email blast, fax blasts, cold calling, mall mailing, website hosting, website creation, mobile website design and much more. So if you are wanting more clients, a more professional image or just better service please feel welcome to contact Fuzi.ca Creative Inc. anytime!